I've always been annoyed by the small things in this skin. Such as the song title text, no x or _ for close and minimize. 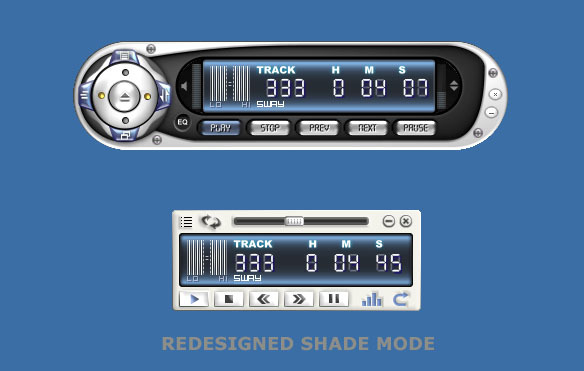 Also, the shade mode always felt like an after thought rather than an actual alternatative. So I took all those things into consideration and here you have Beaded v2.0. Please let me know if there is anything else you'd like to see changed. Good to see someone is still using/skinning Coolplayer. It was kind of an inspiration after seeing that they are still updating cool player. I can only hope they bring back playlist skinning. I can only hope they bring back playlist skinning.